Prambanan is one of the temples that I was able to cross out of my list during my trip to Yogyakarta. 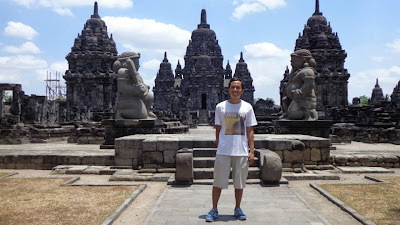 Honestly, I liked Candi Prambanan more than Borobudur. 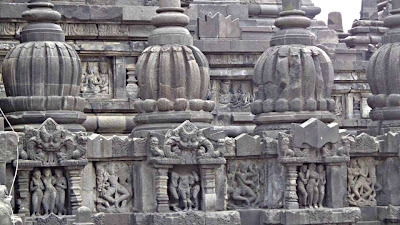 There was something about its shadows and intricate design that endeared me to this temple. 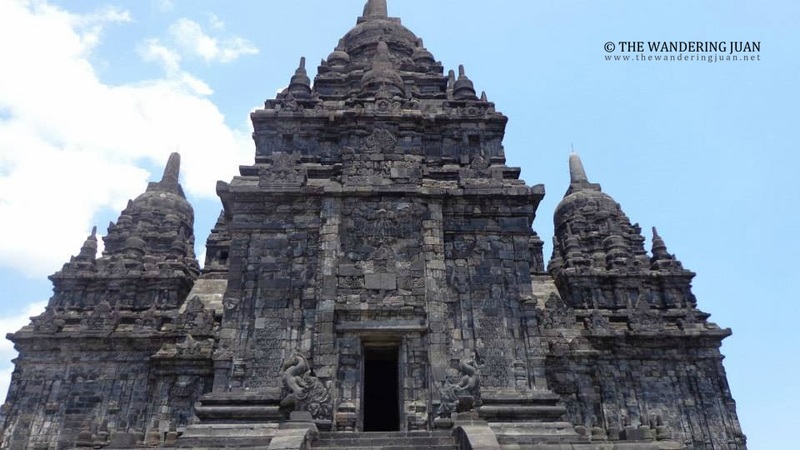 We booked a combo tour for both Prambanan and Borobudur for only 130,000 IDR. 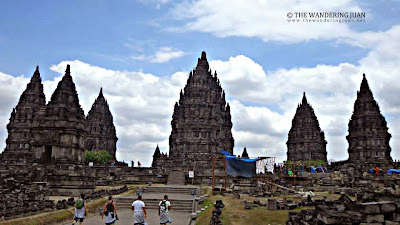 Prambanan was the last temple we visited during that tour. Candi Prambanan was built in the 9th century and is located 17 kilometers northeast of Yogyakarta City. 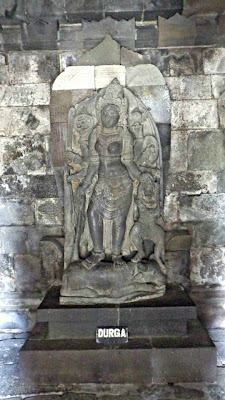 This temple was built for three gods namely, Brahma, Vishnu, and Shiva. Prambanan is the other UNESCO World Heritage Site near Yogyakarta City, the other being Borobudur. Prambanan is one of the largest Hindu temples in Southeast Asia and is the biggest in Indonesia. The temple is distinguished by its pointed peaks that rise as high as 154 feet at its highest point. The Hindu Sanjaya Dynasty built Candi Prambanan as a sign of the empire's religious beliefs. 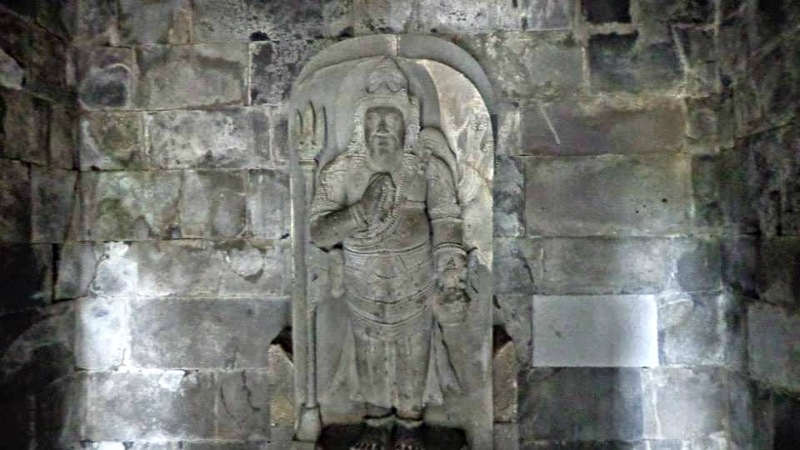 There were different statues and carvings of the Hindu gods inside the complex. 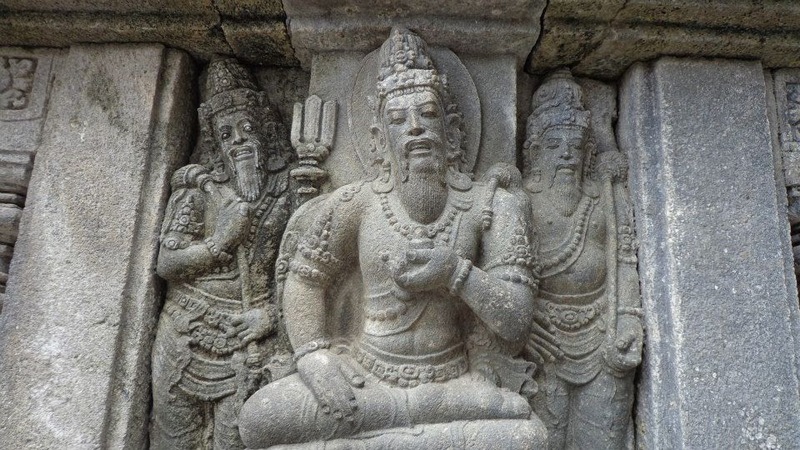 After the fall of the Hindu empires, Prambanan was abandoned until its rediscovery in the 19th century. Prambanan's design and architecture were impressive, I liked it more than Borobudur. I took my time looking at the intricate carvings on the walls of Prambanan. I went up and inside the temples in the complex. 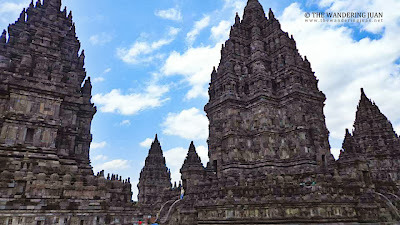 To think that these temples were once built by a great kingdom for their gods, made me realize how fleeting time is. Their gods remain broken, misshapen as their kingdoms are buried in the past. 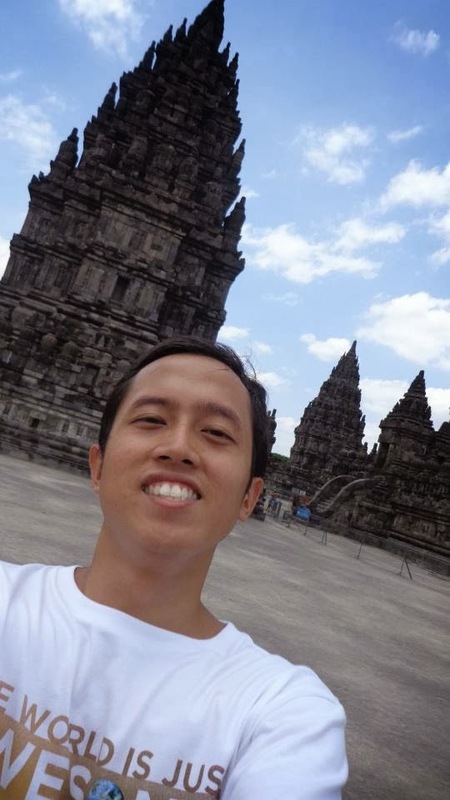 Prambanan is a big complex, so I decided to walk around and explore the area before heading back to the tour. I left my two companions behind and explored on my own. 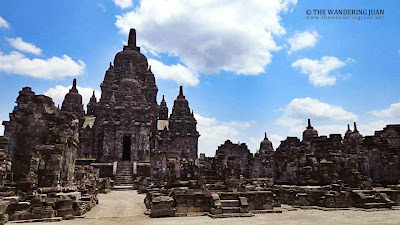 I stumbled upon Candi Sewu while wandering around the area surrounding Prambanan. 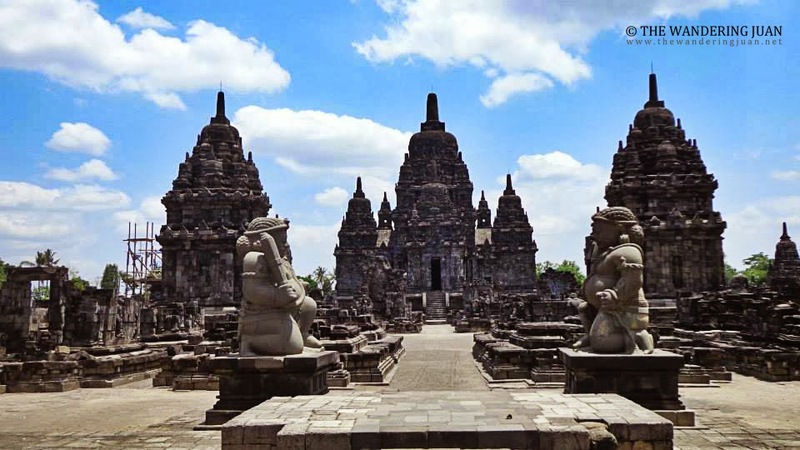 Sewu is a Buddhist temple built in the 8th century. 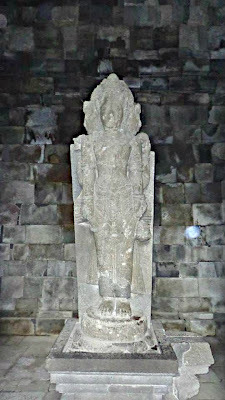 The proximity of this Buddhist temple to Prambanan, a Hindu temple, suggests that the Hindus and the Buddhists lived in harmony during that time. 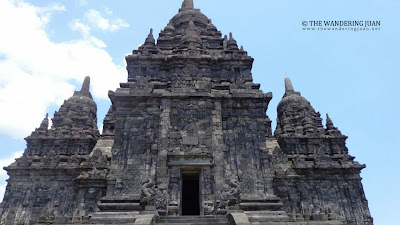 Candi Sewu is not as impressive as Borobudur or Prambanan but is still worth a visit. We booked a combo tour for 130,000 IDR, we started as early as 4AM to catch the sunrise in Borobudur and ended at around 2PM in Prambanan. 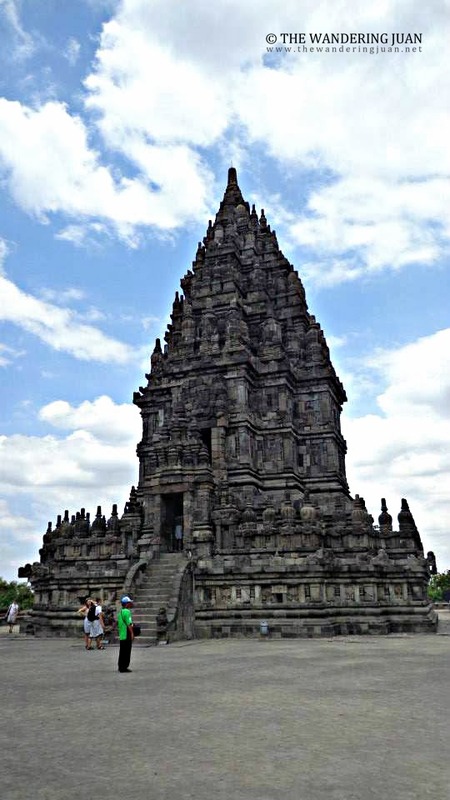 The entrance fee to Prambanan is 150,000 IDR, I managed to get a discount because I got the tickets through a travel agent. 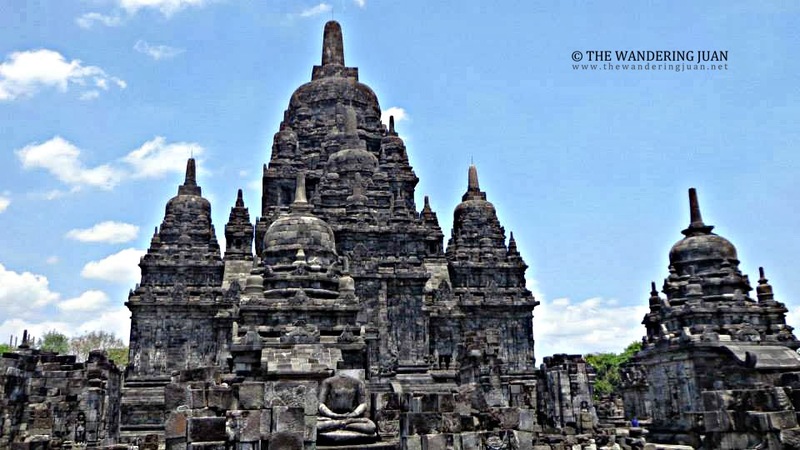 You might end up paying an extra 20,000 IDR if you buy in Prambanan. 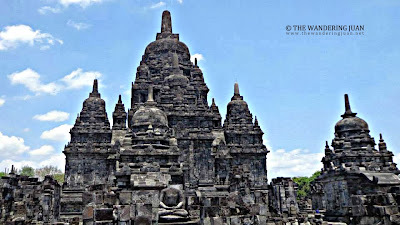 There are also other tours that cost around 80,000 IDR for Prambanan. We booked a tour in Sosrowijayan St. in Malioboro. Alternatively, you can get to Prambanan by taking the bus, I forget which one but the conductors at the stations will gladly tell you if you ask, for only 3,000 IDR. The bus ride takes around 45 minutes. 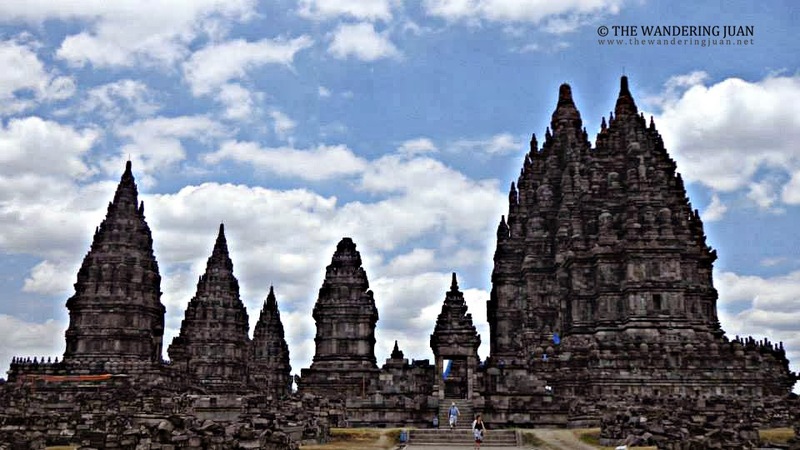 Once at the station, you can either walk to Prambanan or pay an ojek 10,000 IDR to take you to the temple. Wow! 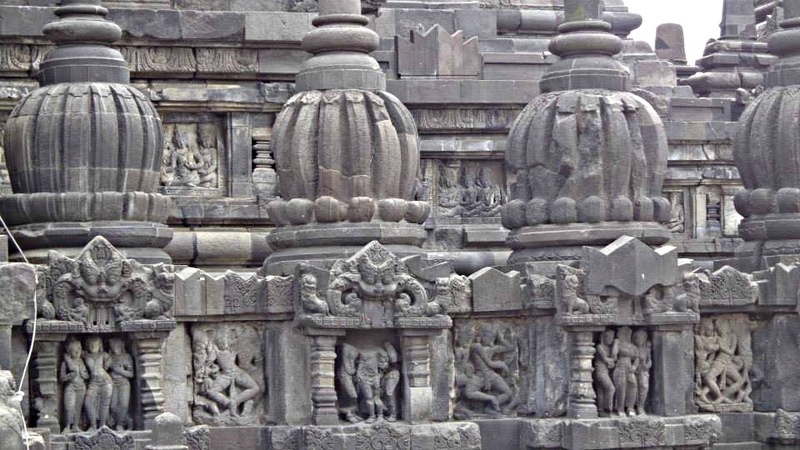 Those are majestic temples and religious icons. It's just amazing seeing structures as old as the 9th century. It just says how much people were at that time. this place is definitely on my wish list , do you the peso equivalent of your expenses? So it's still advisable to book through a travel agent or agency to book discounts or not all the time? you are so lucky ot be travelling and seeing this amazing things on earth!!! I would love to this but no time for now. hope to see more! Wow, i'd love to visit these places sometime too. Nice looking temples. It seems you are having so much fun there. Hopefully I can visit them even once. 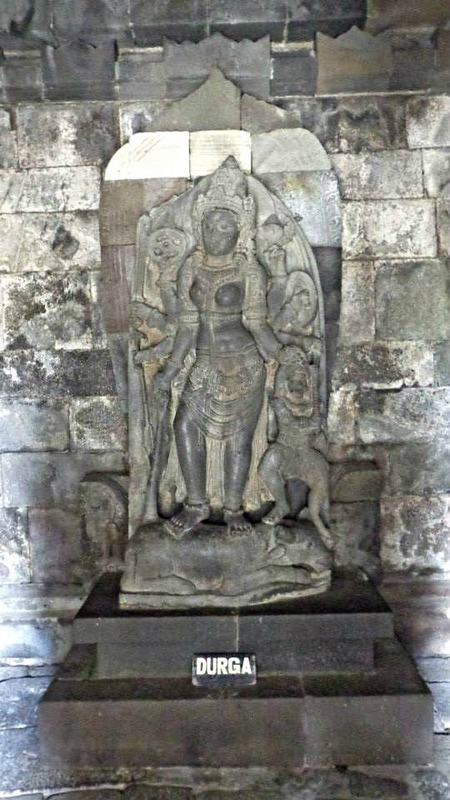 The statues and carvings of the Hindu gods in the complex are really wel-preserved and just amazing! I wish I can visit it too someday. Sometimes, it's really good to get the tickets from travel agencies :) They allow us to save more in our expenses.. This is a historical place. It is good that you chose to travel here. Some people just do not see the importance of this place.